Are you the person that thinks people, who already spend lots of money on luxury items, don’t need a good deal to save a few bucks? It turns out that most of us think this way. But there was an individual who didn’t believe in this. Andrew Landau was the person who came up with the idea of giving cash back to those who brought luxury items. He named his company UseJewel. UseJewel is a website that provides opportunity to earn cash back on luxury items. But, can you really earn money through shopping online, or is it just another scam? Read on to learn all about the company, and its business. What is UseJewel, and how does it work? 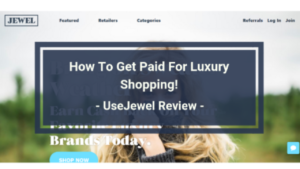 UseJewel,is simply a website that gives you money for shopping online. The site specializes in luxury brands. Andrew Landau is the founder of UseJewel, the founder of jet.com, the co-founder of chalkfly.com, and PowerVoice. The website was founded in August, 2017. The Headquarter of the company, is located in Detroit Michigan. The business model of the company is simple, but effective. UseJewel refers the customers to the brands. In return, the brands pay commission to the website. Out of that commission, UseJewel gives cashback to its users. There are plenty of other companies working on the same idea. The thing that distinguishes UseJewel from the others, is that it only focuses on luxury brands. UseJewel has partnerships with retailers that don’t usually show up on the other cashback sites. That’s why you would find certain luxury brands on UseJewel, that aren’t available on other cashback sites. According to UseJewel, almost 20% of the retailers are unique to them. They can’t be found on other platforms. Despite only being a 1 year old company, UseJewel is a popular website, and has been ranked well by alexa.com. Alexa ranked it 140,071 globally, which is a really good number for a newly established website. Most of the customers, who used this site, also ranked it good. They showed satisfaction with the collection of stores, cashback payments, and customer service. Therefore, it is safe to say that the company has built a nice reputation. Men’s and Women’s Fashion: Most of the listed retailers on the site, fall into this category. There are several famous Men’s and Women’s fashion brands available, including H&M, Armani, Hugo Boss, Calvin Klien, and Ralph Lauren. 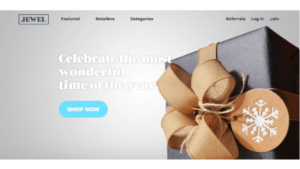 Home and specialty: If you are looking for home related products, or special event services, this site can connect you with the retailers. Many famous brands are available on UseJewel, including HomeAway, and ABC Carpet&Home. Travel: UseJewel contains certain brands that offer a wide range of travelling services. You can get cashback for using famous airlines including Emirates, and Etihad Airways. Moreover, you can also book hotels, and resorts through this site. Health and Wellness: The health, and wellness industry is huge! You’ll also come to realize that on this site. There are plenty of luxury retailers that sell exotic supplements, beauty, and health care products. All the luxury brands listed on the site have an amazing quality, and reputation. However, it is not possible to list all of them here on this post. UseJewel pays out to it’s customers every 90 days. However, it requires the cashback balance in an account to hit at least $15. The payments are then issued to you via mailed check, or PayPal. The company states that they are also working to include other payment options in the near future. UseJewel seems good, and the offers seem great. It’s offering relatively more cashback, as compared to other famous cashback websites. Let’s discuss in detail the advantages, and disadvantages of this website. A clean site: The site is ad-free. So, you won’t have to see all those annoying popups and click baits that lead to irrelevant pages. There are absolutely no distractions, unlike some other cashback websites. Noticeable cashback amount: UseJewel offers a good amount of cashback. It is better than so many other cashback companies. The luxury brands have higher rates. So if you get 8% or 10% cashback on certain deals, that would be a considerable amount of money. Referral program: A person, who refers the website to other people, will get $5 whenever a new user signs up and makes a qualified purchase. 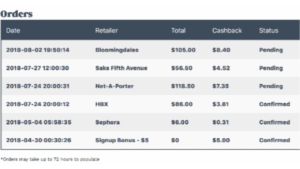 A qualified purchase is the one where user gets at least $10 in cashback. This program allows users to earn more money by promoting the company. Not approved by BBB: UseJewel is not yet approved by the Better Business Bureau. So, it might be uncomfortable for you. Especially if you refrain from companies with no BBB profile. However, the company is newly established, so they may get approved by the BBB, in the near future. 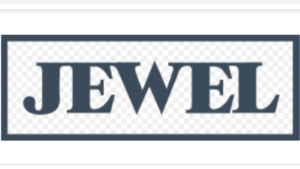 Long waiting time to get paid: UseJewel pays its customers every 90 days, which is a considerable bad quality of using this site. The company has explained the reasons of this delay. The transaction process between UserJewel and retailers, as well as UserJewel and customers, causes the delay. However, 90 days is still a very long time. Not completing a purchase in 1 session. 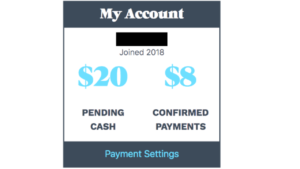 Using an invalid payment method. Conclusion: Is UseJewel a scam, or not? After analyzing the company and its reviews in detail, it can be said that the company is not a scam. It is a legit online business that offers cashback to its customers. UseJewel earns commissions from luxury brands, and then shares that commission with its customers. The website is free of popups, and click baits. The site has a large number of users too. Having said these, UseJewel is a legit company that offers cash back to its users for shopping luxury items online. It is a cool way to save some extra bucks. If you have to buy certain luxury items anyway, why not to get some extra pleasure with it. But other than that, would you happen to have something to say about “UseJewels”, and making money shopping? Maybe something to add to what I’ve said? If so, please feel free to leave a comment. I would love to know what’s on your mind! Thanks for reading my post, and good luck with your success! Getting Paid to Watch Videos Online- Is It Possible?